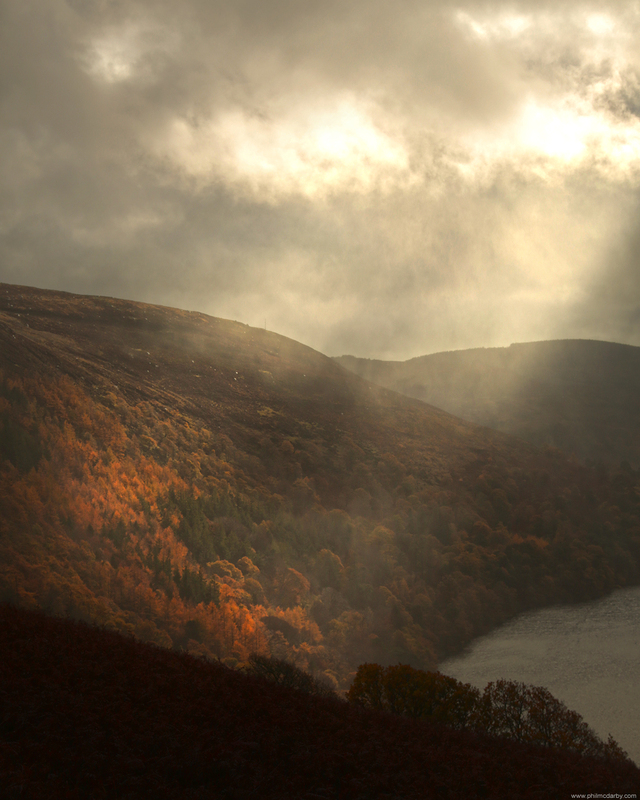 I posted one a while back from this shoot – just the most amazing light up over Lough Teagh. I’d waited a while – determined to catch at least a bit of sunlight on these blazing yellows and oranges. The clouds didn’t disappoint – now and again they let these great beams of light through for a few moments at a time.